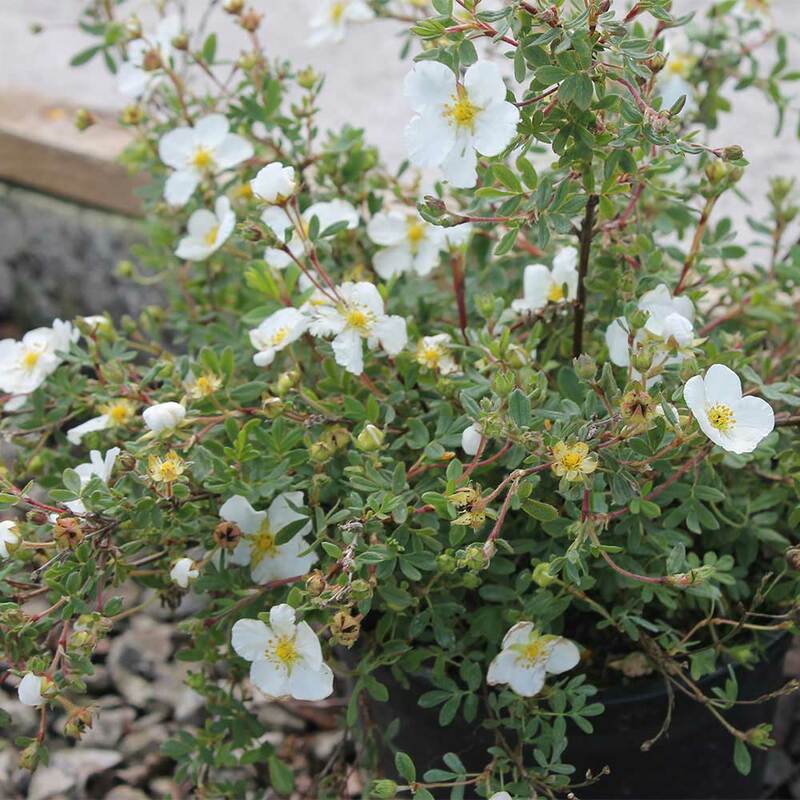 White Potentilla has a very long flowering period from late Spring throughout Summer and into early Autumn and is excellent for informal, low hedging. 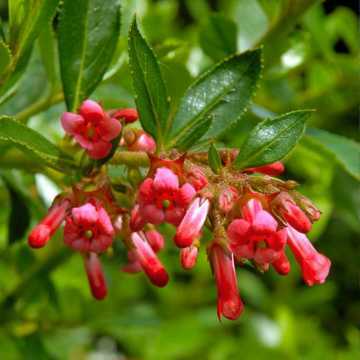 We have a collection of other flowering shrubs in our flowering hedging area. 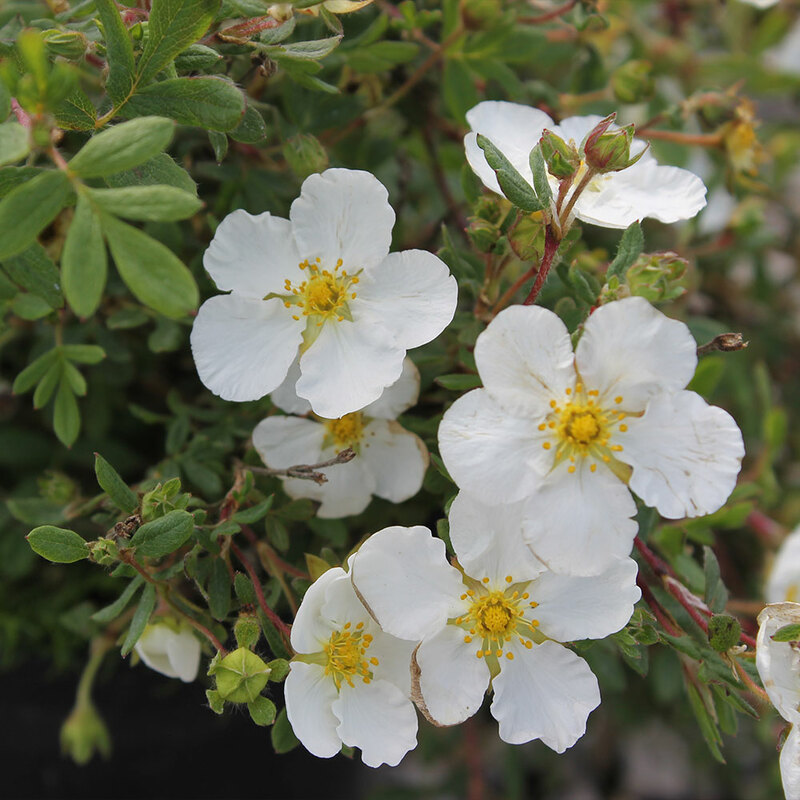 White Potentilla tends to thrive in moist soil and although reasonably rich soil is preferred, they will tolerate poor soil as well. 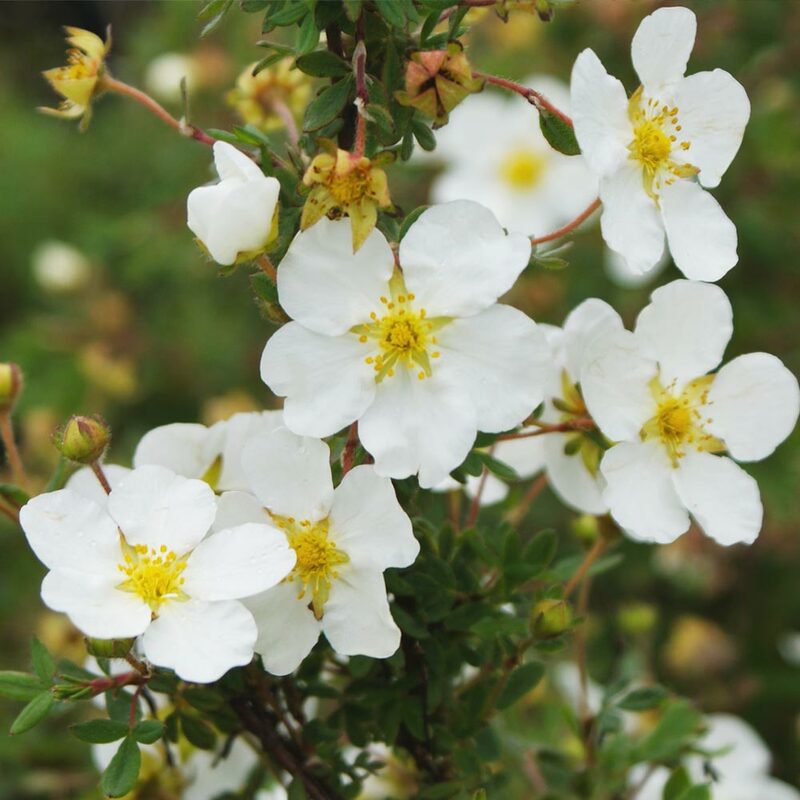 Being very durable plants, they will tolerate drought, flood, and extreme cold and will therefore thrive in seaside locations, making it a great hedging for exposed sites. They do well in both sun and all but the densest areas of shade. 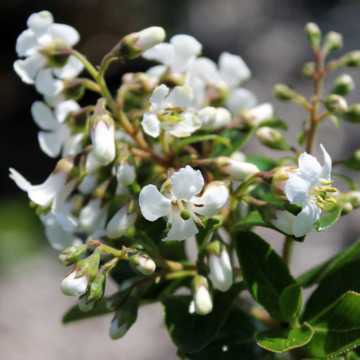 This pretty, deciduous shrub benefits from a long flowering season from Spring through to Autumn, providing lasting blooms of colour in the form of small, delicate, creamy white flowers. 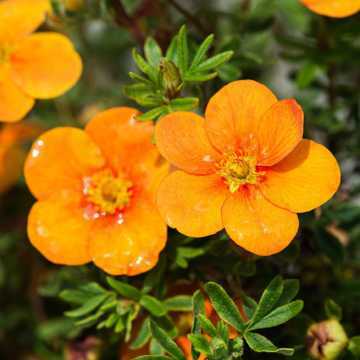 We also have Pink, Orange & Yellow flowering varieties of Potentilla, either as alternatives or to combine with. They are deciduous and will grow to approx 1.5m maximum height but are also very easy to keep as a low growing hedge at under 1m.  You can view our full range of plants suited to similar heights in our low growing hedging plants section. 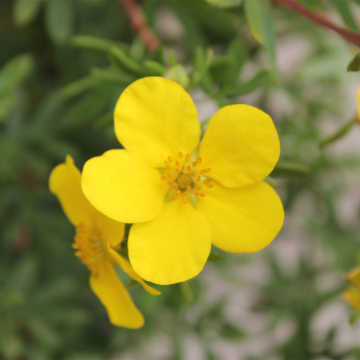 Potentilla hedge plants love to be planted in a sunny spot where flowering will usually be prolific. 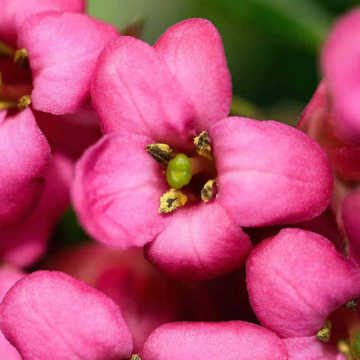 However, the plant will grow and flower in all light conditions except deep shade. Youll see our recommended planting densities for each size and root type listed on the page. We suggest that you use these as a guide, taking into consideration how long youre willing to wait to see your finished hedge. 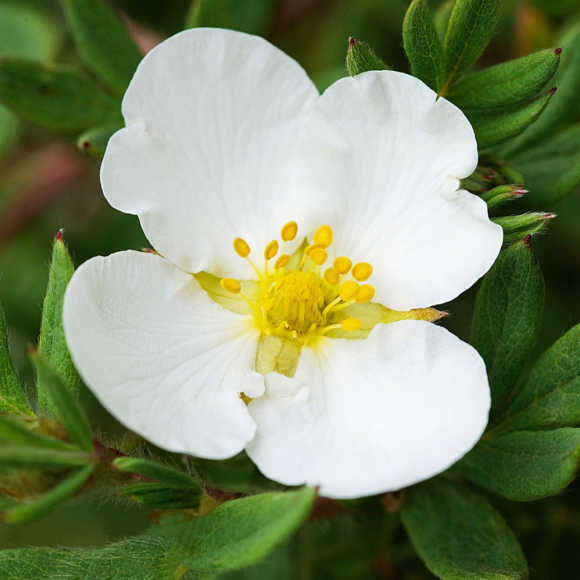 White Potentilla are compact plants requiring very little in terms of care or maintenance other than a quick trim to keep the desired shape and height, growing to a maximum of 1.5m but easy to maintain as a low growing hedge under 1m. It is important to prune at the right time, so as not to remove new growing shoots. Ideally, prune in the Autumn once flowering has occurred, cutting out all the old branches at ground level. Remove shoots that have flowered to within 1.5-2.5cm (¾-1in) of the previous year's growth. 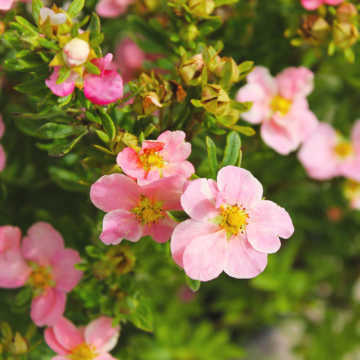 To encourage optimal growth and flowering the following yearr, the plant benefits from an annual mulch or fertiliser trowelled into the soil.